But the site also offers critiques (and you can critique too if you want) on short exerts in their critique forum. And have you been looking for specific help on that novel you’ve been writing, and not sure where to turn? 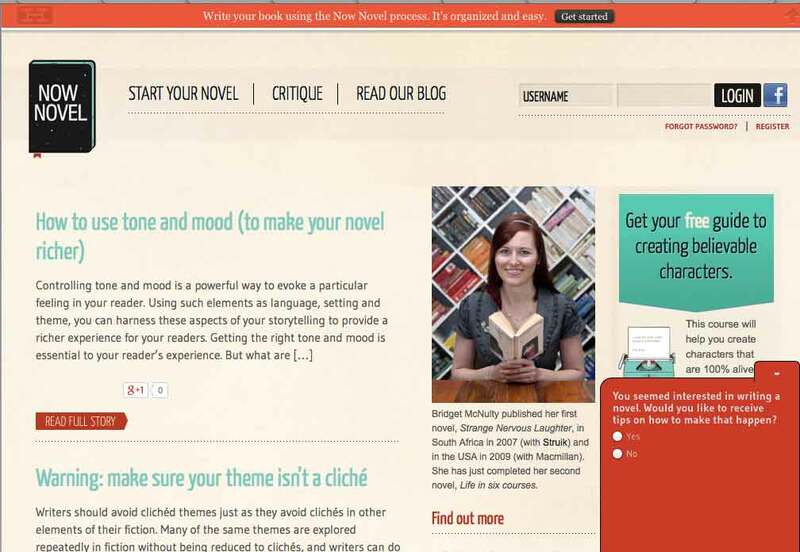 Well, Now Novel offers customized writing courses too. How cool is that? I’ll certainly be keeping a close eye on this site, and who knows, I may even see what an individual course might look like for me.